The flexibility of WEMO production lines for Roller Shutter Boxes goes further than you think. Besides the standardised, modular options for our lines, we also offer you effortless applications for products with different sheet thicknesses (from 0.7 to 1.2 mm) and protective film if necessary. Moreover, the high output (up to 21 metres a minute) resulting in low costs per product speaks for itself. With WEMO production lines you can produce Roller Shutter Boxes your own way. With different shapes – such as round, half-round and square or roller shutters with an oblique angle – or with different lengths; from a minimum of 400 to a maximum of 7000 mm. 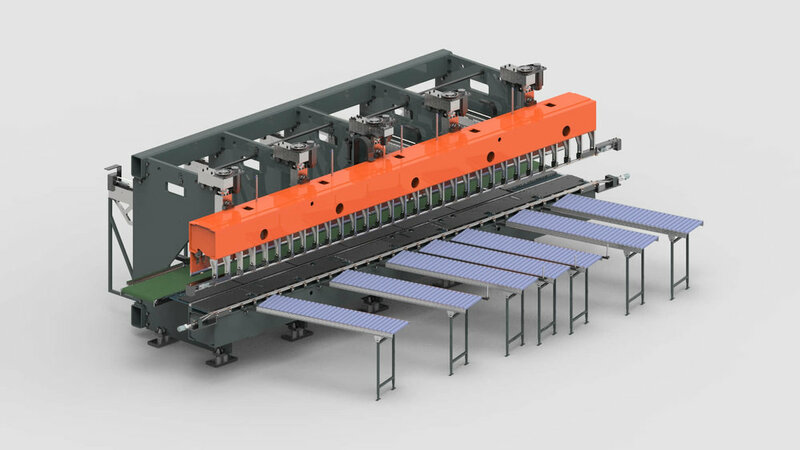 The perfect bending tolerance means that the production lines can effortlessly work aluminium, bright or pre-painted sheets without scratches, and with or without protective film. Our production lines deliver a high output of up to as much as 21 metres a minute. Our stand-alone rolling, press braking and bending line can moreover be simply integrated in your existing production process. The roller shutter boxes can be produced in any embodiment required and, depending on the total line concept, can be produced in a batch size of one item. Just one single employee is needed for taking off the bent components.